Have you ever felt buried by problems and circumstances in your life? Just like this tree overwhelmed by the copious amounts of snow at Lake Tahoe last month, I can identify with this crown. Problems seem to pile up at times and just like this tree, I struggle to keep my head above water (so to speak). The good news is that when the snow melts in the spring or early summer, it will be standing tall to provide shade and a safe haven for nature as in past seasons. Have you thought about how the base of the tree reacts to the freezing temperature of the packed snow? Do you ever feel that your problems seem to freeze you in a position that disables you from moving forward? 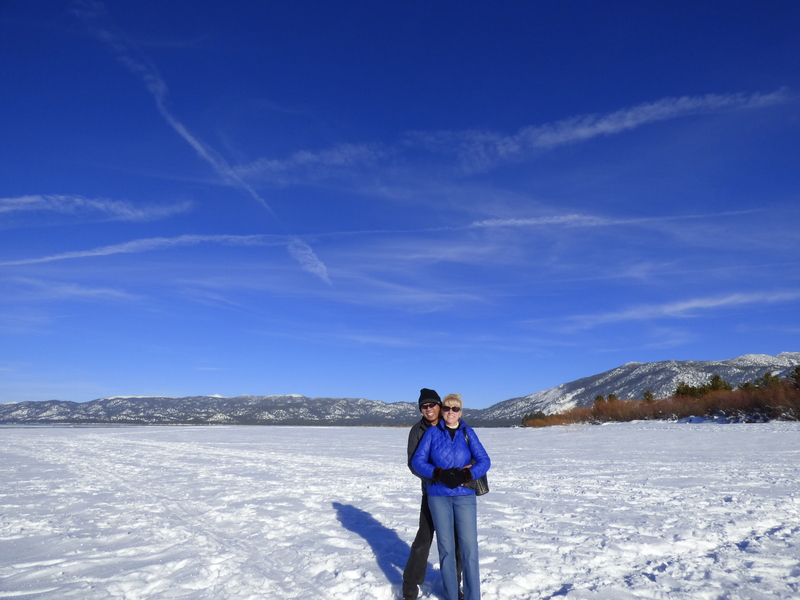 I have experienced this type of cold-temperature set of circumstances that almost buried me. If you do not know my story, here is a quick summary. It all began in 2007. My wife was diagnosed with cancer and a year later, she went home to the Lord. Remarried in the spring of 2010 but a month before that, I was laid off as a result of the economic downturn. Three months after my second marriage, I lost my second wife to her suicide. I had to change careers in 2011. I was forced to move out of my house in 2013. That’s a lot of snow pack in a few short years but just like the tree in the picture, I would not allow these circumstances to completely bury me! My snow pack has been melting slowly during the past few years. How? For starters, the Lord blessed me with my lovely new bride in 2011. We have doubled the kids in our family to four boys! Two were married the summer of 2015 so we have two new daughter-in-law’s. Another son will be married this October so that will soon make three daughter-in-law’s. Our youngest is in his first year of college! I published my first book in December 2014 and had the opportunity to share my story to other groups in 2015! We found a beautiful, temporary home within our community. Family ties have been rebuilt once again. The Lord continues to bless us financially. In spite of the many snow falls that seemed to have buried me, I am learning that these problems are temporary! 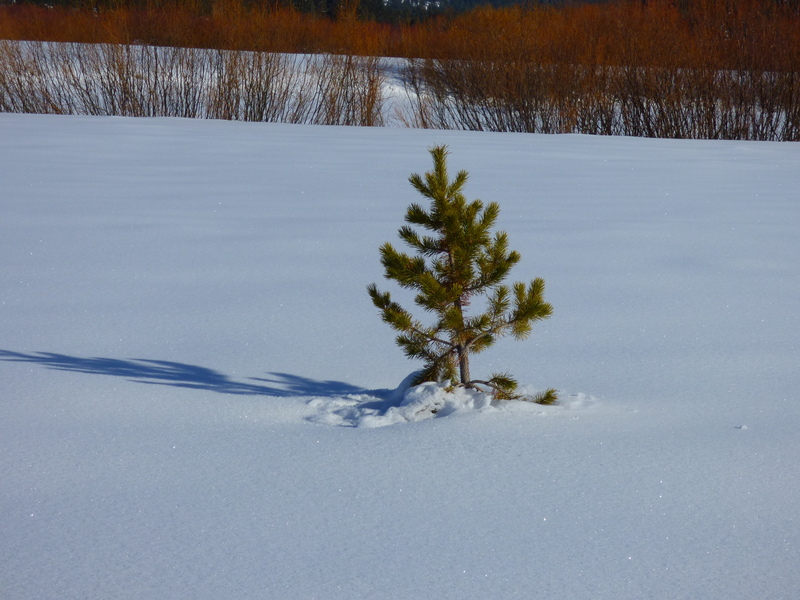 As the snow melts, I am still standing and with a stronger base that I now know can withstand life’s challenges! Are you going through some difficult times in your life? May I encourage you, regardless of your faith and background, those challenges are temporary! The snow will melt with the sun! You have that same ability to hang onto hope – you just need to look up! This entry was posted in Encouragement, Journey, Life and tagged Courage, faith, Family, Hope, Marriage, wife. Bookmark the permalink.